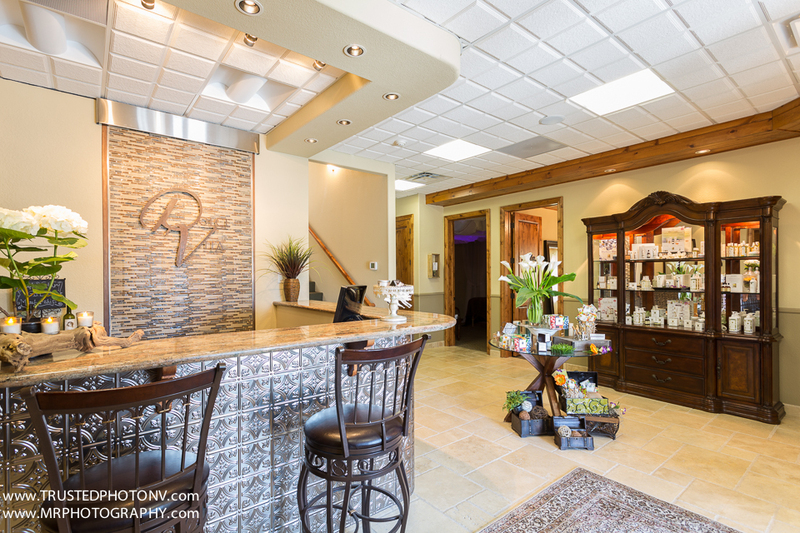 Dolce Vita Wellness Spa chose Marcello Rostagni & www.TrustedPhotoNV.com as their Reno Google Trusted Photographer. We had a great time photographing their business so that they can now be featured on Google Business View. Reno Google Trusted Photographer Marcello Rostagni photographs Docle Vita Wellness Spa! The beautiful 3000 sq. ft spa is extremely welcoming and the warm Tuscan designs beautifully bring the distinctly Italian décor to life. The Dolce Vita Wellness Spa provides its clients with personalized spa treatments that are completely organic and earth-friendly. This feature is one reason that makes them distinctive! Each of the Spa treatment rooms found inside are completely unique, promising an exceptional experience for their clients based on their choices. The spa offers massages, facials, body treatments, and an infrared sauna, as well as a number of holistic treatments including Reiki. This all-inclusive service offering makes it the perfect place for environmentally responsible ladies and men to source some organic beauty treatments. The Dolce Vita Wellness Spa is also the perfect location for a ladies-only spa party and can create customized packages of their services to suit their clients. They make sure to use only organic products that haven’t been tested on animals. Their spa treatments do not contain any Parabens, sodium lauryl sulphate, phthalates, harmful colors, perfumes, or any other harsh chemicals. We also had the opportunity to shoot their beautiful entry, lounge and waiting areas. The atmosphere is very relaxing and allows for a luxurious and serene Spa experience. They also offer in-house spa food; everything from delectable appetizers to healthy lunches and dinners are available inside to ensure a perfect Spa day. So if you or someone you know is looking for a great spa outing in Reno, the Dolce Vita Wellness Spa is highly recommended. In case you are looking for a way to get better exposure on Google through a Reno Google Trusted Photographer then www.TrustedPhotographerNV.com is the place to start! As your Reno Virtual Tour Photographers, we can create an exclusive insider view of your business premises, giving your potential clients and customers a sneak peak of what’s in store for them when they visit you. Give your Google Plus Local listing some pizzazz, and put your business on the virtual map! Providing simple, fast and affordable services, we are Nevada’s first ever Google-certified Trusted Photographer. Are you a business owner looking to showcase your establishment? Contact us and see what a Google Virtual Tour can do for you. As a Trusted Photographer of Reno, let me show you what Google Business View can do to put you and your company on the map. A Trusted Google Independent Photographer, 1st in Nevada!